Earn $10.19 in Rewards credit (1019 points) What's This? 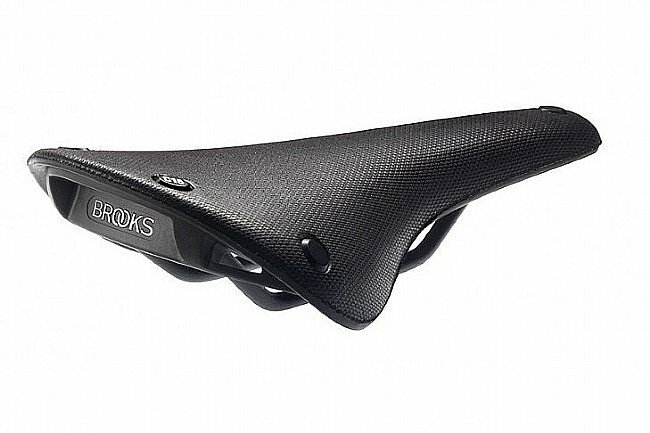 Brooks' C15 Cambium All Weather Saddle treads new ground for the esteemed manufacturer of classic leather saddles, well-known for saddles that last a lifetime and go the distance. 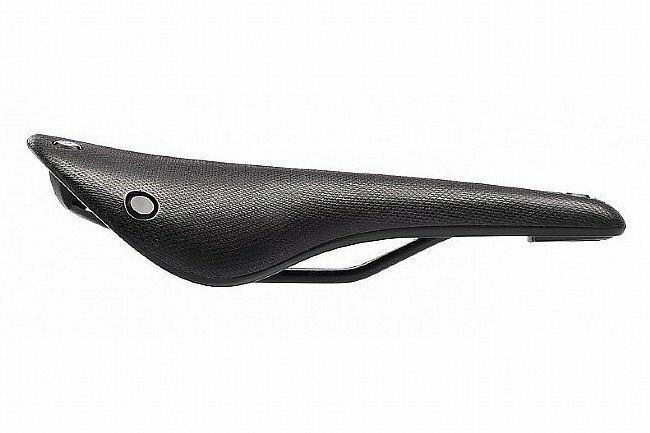 The C15 All Weather is just as comfortable, durable, and handsome as the beloved B15 Swallow, but it's entirely leather-free, making this saddle perfect for or anyone who's wanted to try a Brooks but been intimidated by the break-in period or the required maintenance. The C15 Cambium All Weather is ready to go right from the start, and you'll never need to condition or tension it. Made of vulcanized natural rubber for forgiving support, with a nylon cover to block out wind, rain, ice, or snow. With a shape modeled after the tried-and-true B15 Swallow, the C15 will provide a superb seat for racier riders with its narrow profile and lighter weight. The fiberglass backplate features loops for mounting saddlebags or lights. Die cast aluminum structure with stainless steel rails. 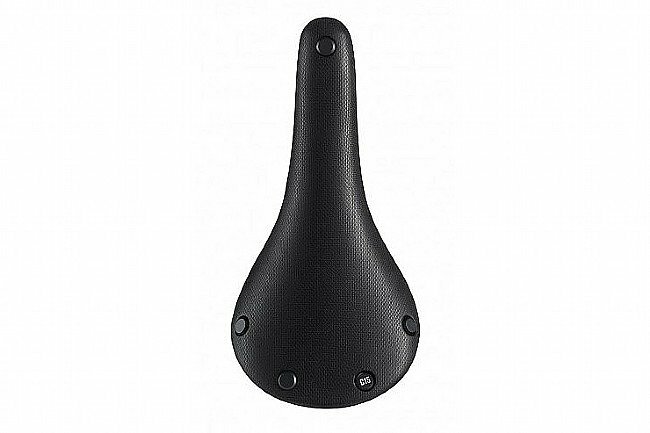 Assembled from replaceable parts with no special tools required for servicing; the saddle's frame can be repaired in the event of an accident, making this truly a saddle for life. Length: 283 mm. Width: 140 mm. Weight: 450 grams. I've never been disapointed with a Brooks saddle. 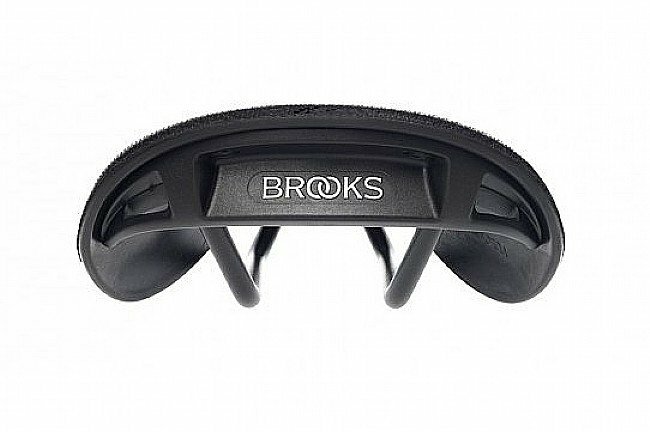 Everyone has different saddle needs with that being said Brooks saddles have always worked well for me. I enjoy the fact that this saddle is very weather resistance and comfortable. I picked the carved version of this saddle to use when I raced the Trans Am. That saddle shows some ware but has held up quite well and is still in service. The longer the ride the better it feels! It is great saddle, like with any other saddle you will need to spend some time to micro adjust it to your liking. Once you get it dialed in, youll be very happy. It almost feel like the longer the ride the more comfortable the saddle gets!? This is a great saddle. I have a version of the saddle on all my bikes(4). No break in time is needed. Over time and a lot of miles it will stretch a bit, but the comfort is still there. I would and have recommended it to many friends. it's not the lightest, but it is the most comfortable.